Fire1on1 is an automatic and portable fire fighting equipment which needs no manual supervision. The product comes in two sizes i.e. 1kg and 2kg. Read more about Automatic Fire Extinguishers here. How Automatic & Portable Fire Extinguisher Works? 1. 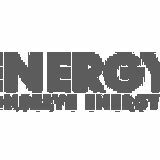 Next gen fire retardant that consists of a synthetic container filled with very high quality biodegradable fire extinguisher powder. 2. A tube is fitted to the chamber filled with an activating agent attached to a quick burning fuse wrapped around the chamber. 3. As soon as the fuse comes in to contact with fire, chamber splits open with the sound of an alarm. 4. For a couple of vital seconds, all oxygen in and around the base of fire is removed as a result of which the fire is extinguished immediately. 5. Since the product is eco-friendly, synthetic remains can easily collected and recycled. 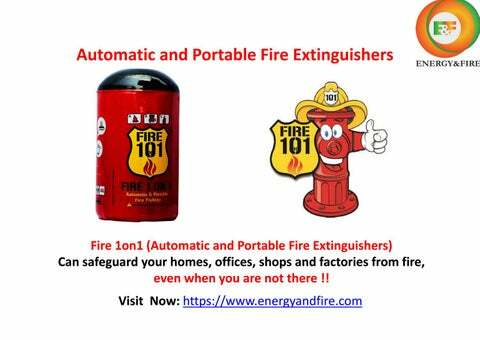 Why to buy Automatic Fire Extinguishers? 1. 2. 3. 4. 5. No bodily harm to anyone. Light in weight & compact in size. Bio-degradable and Ozone friendly. Automatic Activation. 5 Years Warranty.